Does this include the flange that screws into the tub as well as the stopper? Does this have a matching overflow drain cover? Thank you for your question. The drain plug on your Delta Faucet model # RP16686 should unscrew from the flange to allow cleaning. is this available with a 3/8-16 thread? Do you make this part with a 3/8&quot; - 16 thread size? Thank you for your question. 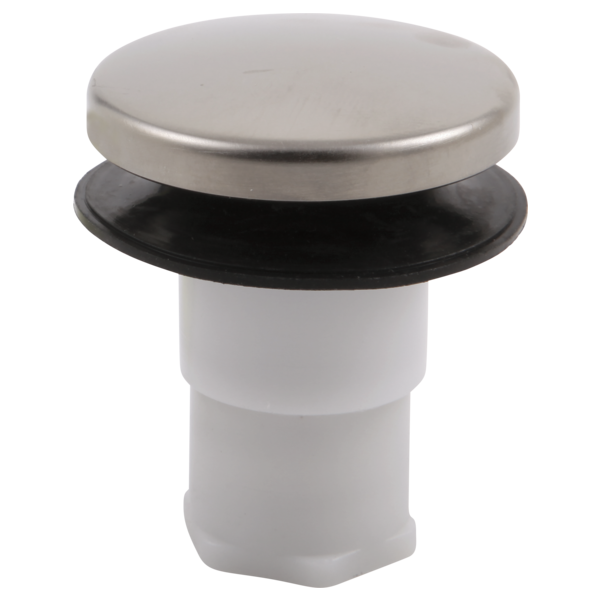 Delta Faucet model # RP16686RB is the only size stopper assembly we manufacture. The gasket seems to be allow water to leak out when there is water in the tub. Can the rubber gasket be replaced? I need to replace a Delta foot locks stopper assembly installed in 2003. Did you manufacture different sizes of this part in the past or is this the only size that has been made since 2002? Does the top cap od the Delta toe Stopper bathtub drain screw off or pop off?